Giant Lottos are giving our player's the opportunity to play in one of the years biggest lottery draws, the EuroMillions Superdraw! Get your tickets now and stand a chance at winning a multi-million pound jackpot. 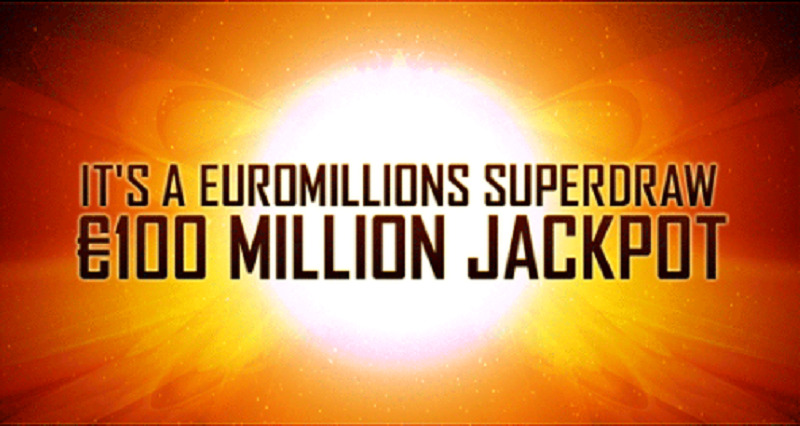 The next EuroMillions Superdraw is taking place this Friday, and as usual there is a huge nine-figure jackpot up for grabs! The jackpot will start at a minimum of €100 million and will roll over until someone matches all five main numbers and both Lucky Stars numbers, or until the jackpot rolls over to a cap of €190 million. The EuroMillions Superdraw operates under the same rules as the regular EuroMillions draw, only the jackpot is MUCH larger! This is how you can participate in the Superdraw from the Giant Lottos website.